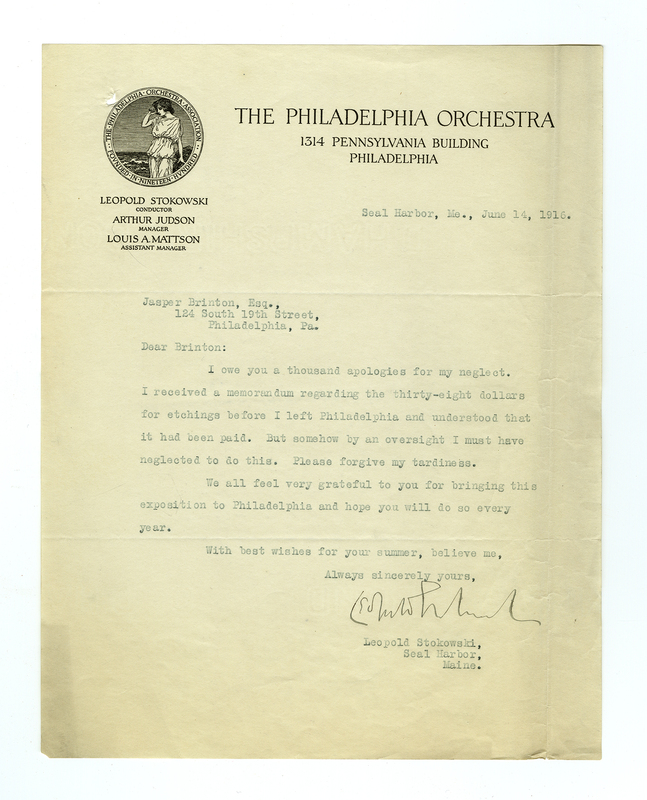 Leopold Anthony Stokowski (1882 – 1977), the renowned conductor of the Philadelphia Orchestra, was an early patron of The Print Center. 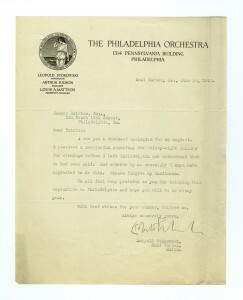 In this letter from 1916, he apologies to Judge Jasper Brinton, one of the founders of the organization, for his delay remitting $38 for a group of acquired etchings. From its founding, The Print Center has played a critical role in the formation of many print collections, both private and public.